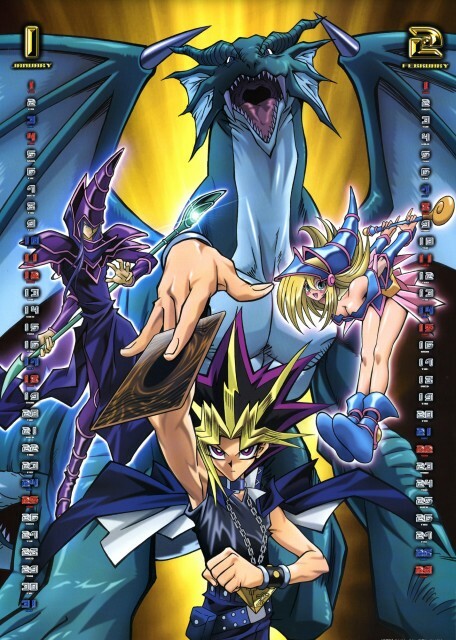 Scan from japanese calendar 2004 Yu-Gi-Oh! Duel Monsters, first image month january and february. Character's Atemu, he's magician's and the legendary dragon. i love this scan! ill add this 2 my faves nex week(stupid 10 faves per week)!!!!!!!!! Probably just some random dragon monster. Or it could be one of those legendary dragon things I've heard about, I couldn't really tell you. I haven't seen any of Orechalios. Anyway I really don’t like how they distort everyone's faces in the later parts of the series. But other than that, it's good. hey the scan file is down T-T. Please resubmission coming soon. 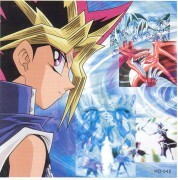 Oh YuGI is amazing I love Him! yami yugi! the king of games! thanks for the scan!